We’ve heard that WhatsApp will be launching a voice-calling feature soon but the India-based instant messenger Hike will be adding such feature earlier to WhatsApp. Hike acquired a Voice-Calling company Zip Phone recently for an undisclosed amount. Zip Phone, a one-man US- Based startup founded by Anuj Jain , is a voice-calling app that works globally. Hike Messenger’s voice-calling feature is expected roll out in the next few days. The service will be optimised even for 2G networks to ensure minimum bandwidth usage so that data costs are minimised. Hike’s voice-calling requires Internet access, to be more data efficient and to do well even on networks with poor Internet connectivity. Hike’s Voice-Calling is going to better than rest all because its designed such that it can work even on poor Internet connectivity. Moreover this feature of Hike Messenger is made globally available. However Hike has officially refused to confirm these rumours. 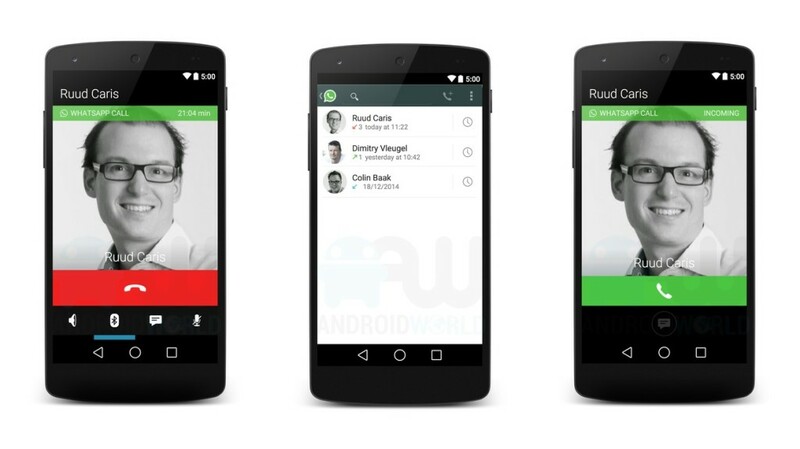 This year we will be hearing more news on the voice-calling feature on messaging apps . As we know WhatsApp revealed its plans to launch this feature last year but that didn’t happen. However close sources from Whatsapp report that one of the reasons for the delay of this feature in WhatsApp was finding its ways to implement voice calling feature with Poor Internet connectivity as 3G services and Wi-Fi access is still not easily available in many parts of the world as compared to 2G services. In December, some screen shots with WhatsApp’s voice-calling feature were leaked and it shows that the calling and chatting functions appear on separate screens. Its rumoured that WhatsApp’s Voice Calling provide even call-recording and playback. However its uncertain that whether these feature is to be paid or users must have to start paying for WhatsApp after roll out of these features. As we know WhatsApp is eminent in the Social Messaging Apps, interestingly even Hike made a fair performance.Hike crossed 35 million users since its launch in December 2012 which is quite impressive.Hike is a better competitor to WhatsApp in India in this sphere more than LINE and WeChat. when Hike messenger crossed 20 million download mark. As we know Viber, Line, already offer free voice-calling over Internet and are leading providers of Voice over Internet Protocol in India. It remains to be seen how Hike’s user base will grow once this feature is rolled out. Previous article Google Classroom – Submit your assignments on the go !